Multi-gem inlaid ring, inlaid with turquoise, lab opal, coral and more. 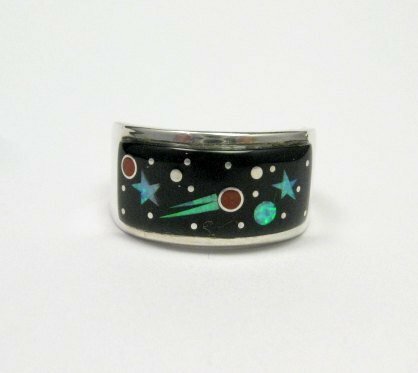 The band style ring measures 1/2 inch wide at the front. Native American made and inlaid by Matthew Jack. Size 11. Item# 6658. 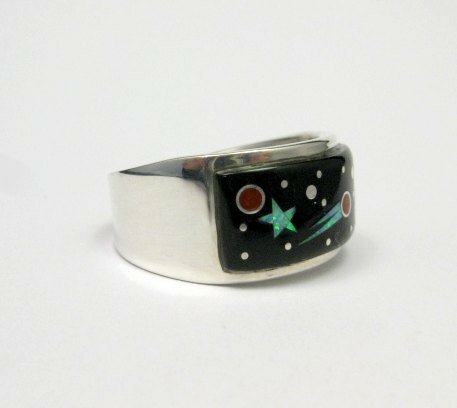 This gorgeous contemporary multi-gem inlaid ring is inlaid with a multitude of semi-precious stones in a black night sky Shooting Star design. 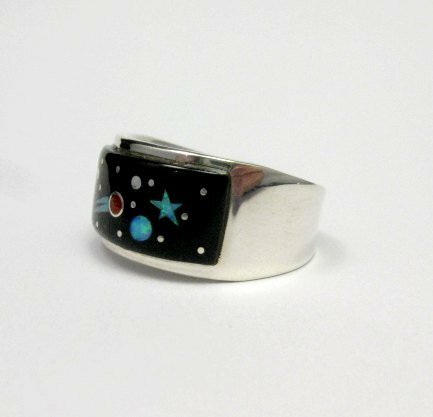 The black night sky is inlaid with small dots of sterling silver, which look like stars. The ring is absolutely breathtaking is both design, artistry and craftsmanship. 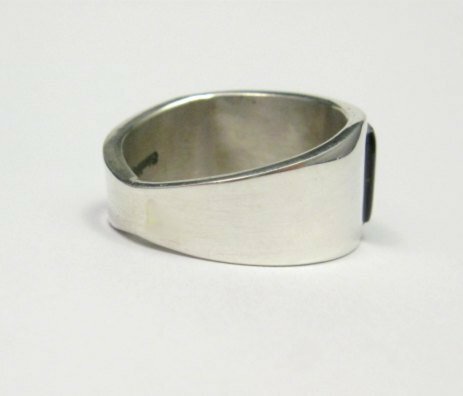 The band style ring measures 1/2 inch wide at the front and narrows to 1/4 inch wide at the back. the inlay reaches across the front 1 1-/8 inch of the band. Size 11. Brand new and in perfect condition. Gift Box and Certificate of Authenticity included.